“I believe my clients expect and deserve the highest degree of responsiveness and attention to detail. The work we do demands this; and I strive to exceed expectations." 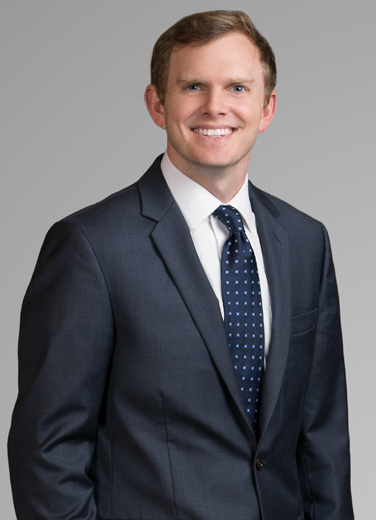 Hunter Chauvin is a litigator that assists major oil and gas companies in environmental litigation, with a concentration on legacy lawsuits and coastal land loss issues. He has worked with experts across the globe to defend environmental lawsuits, which has allowed him to develop a deep working knowledge of the complex scientific issues underpinning these cases. He has been entrusted to represent clients in major bellwether environmental cases. Hunter’s practice also includes working with regulators at the department of natural resources and other agencies on behalf of oil and gas companies to resolve regulatory disputes. Hunter teaches Trial Advocacy for LSU’s Paul M. Hebert law school and is a board member for the Louisiana Association of Defense Counsel. He is an active member of the Louisiana Association of Business and Industry (LABI), Louisiana Oil and Gas Association (LOGA), and the Louisiana Mid-Continent Oil and Gas Association (LMOGA). Assisted multiple major oil and gas clients through multimillion dollar environmental disputes. Resolved several unique regulatory issues with the Department of Natural Resources on behalf of oil and gas operators. Obtained summary judgment in favor of client/indemnitor on novel issue involving effect of indemnitee’s bankruptcy on indemnity obligations, which was affirmed by the U.S. Fifth Circuit. Duval v. Northern Assurance Co. of America, et al., 722 F.3d 300, 2013 U.S. App. LEXIS 13680 (5th Cir. 2013). Secured de minimus settlement in favor of towboat captain being prosecuted by the United States Coast Guard for allision on the Mississippi River that caused multiple-day shutdown of the River at the Huey P. Long-O.K. Allen Bridge in Baton Rouge, Louisiana.